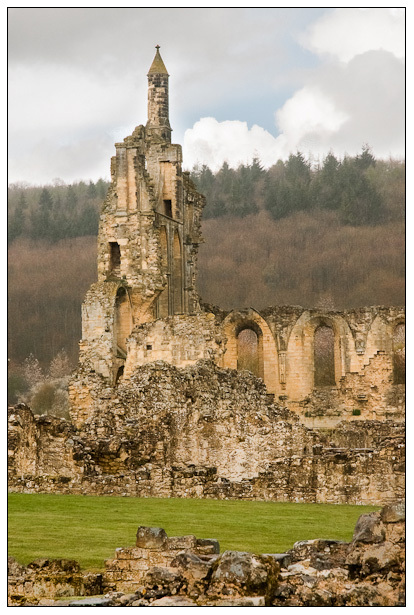 We wandered the lanes afterwards and stopped at nearby Byland Abbey. We sat in the car park for a while trying to decide whether or not it was going to rain. In the end we chanced it and went inside. We had barely gone 50 feet when . . you guessed it, it rained . . . . . a lot! I grabbed this shot before we gave it up as a bad job and headed back to the gate kiosk where we decided to join English Heritage, we got our entrance fee back and we can now re-visit when the weather picks up.